The size of the average new home has shrunk to a 20-year low as Australia is overtaken by the US as having the world's biggest houses, new data shows. Australia had hitherto been known as the builder of the biggest homes in the world, but the trend to apartment living as builders focus on apartments has decreased the average floor area of new houses. 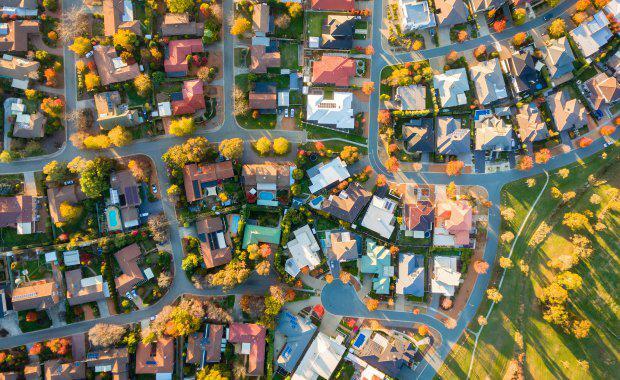 Analysis by the CommSec of figures commissioned from the ABS shows the average new home is 189.8 square metres, down 2.7 per cent over the past year. While Australian houses have decreased on average, detached houses that do get built are the biggest they have been in four years -- the average new house in 2016-17 was 233.3 square metres, 11 per cent bigger than 20 years ago. 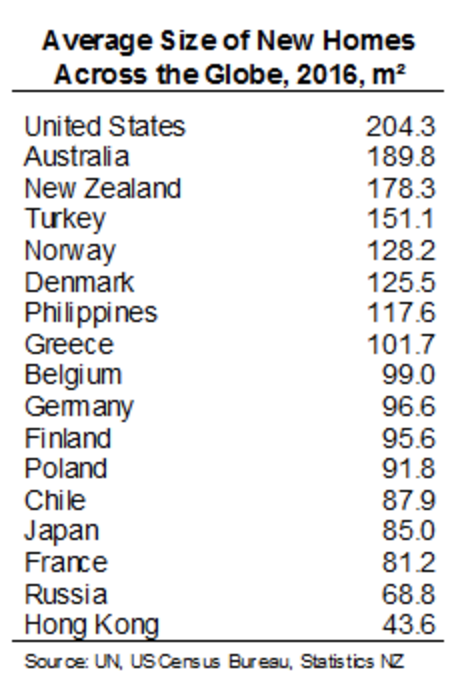 "Aussies are still building some of the biggest detached houses in the world. In fact the size of the average new house has grown slightly over the past two years," CommSec chief economist Craig James said. "But the average house size isn’t reaching new highs, having peaked around six years ago. There are still McMansions being built, but there are fewer of them. "There has also been a clear trend towards smaller apartments. Apartments were 2.3 per cent smaller at 128.3sq m. In 2010, 27 per cent of homes built were apartments. Today, apartments account for almost half -- 47 per cent -- of all homes built. “Generation Y, millennial couples and small families want to live closer to work, cafes, restaurants, shopping and airports and are giving up living space for better proximity to these desirable amen­ities," James said. Commsec attributes the shrinking trend to the increased prevalence of investor-grade apartments, particularly in the eastern capitals, with units making up around half of all new residential buildings. State by state, Victorians are building the biggest houses in Australia with the average floor area sitting at 241.1 square metres, closely followed by Queensland (237.7sq m) New South Wales (227.4sq m) and Western Australia (227sq m). The smallest new houses built were in Tasmania at 195.5 square metres and the ACT (197sq m).